This Battalion was formed in Leeds on 5 September 1914 by the West Yorkshire Coal Owners Association. In May 1915 it moved to Ripon and attached as Pioneer Battalion to 31st Division. In December 1915 it moved to Egypt, then went on to France in March 1916. 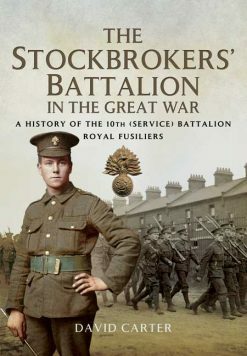 No description of the 1 July 1916 attack on Serre by 31st Division would be complete without mention of the part played by the division’s pioneer battalion, the 12th Bn. King’s Own Yorkshire Light Infantry. The failure of 31st Division’s attack at Serre in the face of overwhelming enemy artillery and machine gun fire is well known. The pioneers went into the attack equipped similarly to the assault infantry, the chief difference being that the pioneers also carried a pick or a shovel, but only 170 – rather than 220 – rounds of ammunition. Between 1 July and 30 November 1917 it was attached to Fifth Army Troops for work on light railways. ‘The true nature and functions of a pioneer battalion were never fully understood during the war either by military or laymen. “Pioneers …pioneers,” mused a red-hatted Staff Captain to me the other day. “Sort of labour battalion, aren’t you?” “We sure are!” I agreed.’ These words, written by Captain R. Ede England, who served with 12th King’s Own Yorkshire Light Infantry during the whole of the Great War, are as true today as they were when he wrote the original history of the battalion in the early 1920s. 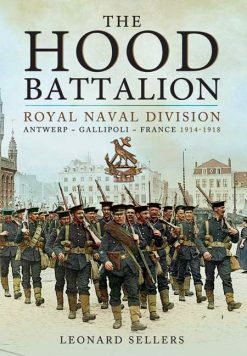 Little is known, or understood, of the contribution made by the many thousands of men who served with the original Pioneer battalions. Building and repairing roads, bridges, railway lines, gun emplacements, and laying barbed wire to protect the Front Line, were just some of the tasks that they performed on a regular basis. 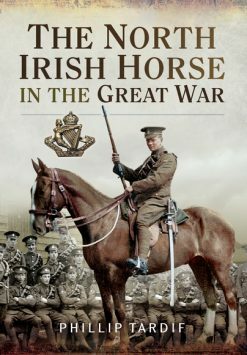 Fortunately, the subject of the British Army’s logistical support in the war zone during the new industrialised warfare that developed between 1914 and 1918 is now being examined in greater detail. Miners’ Battalion, A History of the 12th (Pioneers) King’s Own Yorkshire Light Infantry 1914-1918 follows the battalion throughout the war and shows how the men, mainly Yorkshire miners, applied their civilian skills to the purposes of war. It also reveals that in 1918, when forced to fight as infantrymen, the battalion performed with distinction, gaining the nickname, ‘the Yorkshire Guards’. 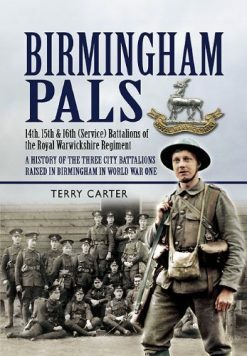 BIRMINGHAM PALS A History Of The Three City Battalions Raised By Birmingham In The First World War The 14th, 15th & 16th (Service) Battalions of the Royal Warwickshire Regiment.